Shane Warne couldn’t believe the news. 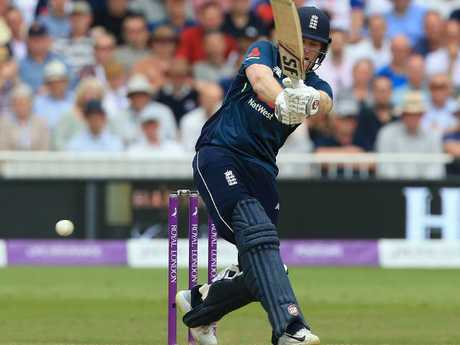 ENGLAND extended its own record in one-day international cricket by 37 runs after smashing the highest-ever total of 6-481 as it beat Australia by 242 runs in the third ODI on Wednesday morning (AEST). 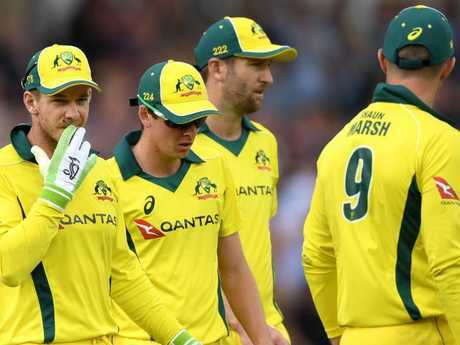 Australia was bowled out for 239 with 13 overs to spare - its biggest ODI defeat in terms of runs and England's largest ODI win. England now has an unassailable 3-0 lead in the five-match series. 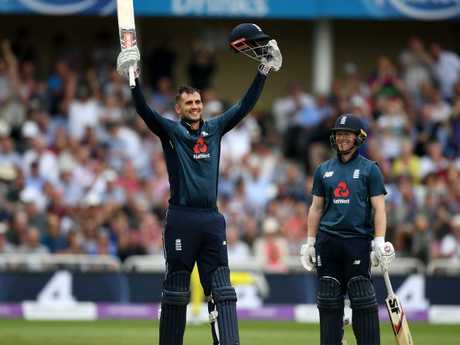 No.3 Alex Hales hit 16 fours and five sixes in reaching 147 off 92 balls, and opener Jonny Bairstow scored 139 - also off 92 deliveries - in his fourth ODI century in the last six games as England went on a run rampage from the onset. England held the previous innings record when it scored 3-444 against Pakistan in 2016 at the same Trent Bridge ground. Australia, who won the toss and chose to field, never looked like reaching the huge target as spinners Adil Rashid (4-47) and Moeen Ali (3-28) shared seven wickets between them. Australia's previous heaviest ODI defeat was 32 years ago when it was beaten by New Zealand by 206 runs at Adelaide in 1986. Australian captain Tim Paine's decision to bowl first backfired spectacularly against England's top-order batsmen. Seamer Andrew Tye finished on 0-100 off nine overs while the other two fast bowlers - Marcus Stoinis (0-85) and Billy Stanlake (0-74) - also went for plenty. Bairstow's opening partner Jason Roy hammered 82 and missed out on a second successive century before Eoin Morgan hit England's quickest ODI half-century off only 21 balls, and 67 off 30 deliveries. Morgan, playing in his 180th ODI, became England's all-time leading scorer in the 50-over format with 5443 runs as he surpassed Ian Bell's mark of 5416. Fast bowler Jhye Richardson took 3-92 when he dismissed Hales and Morgan off successive deliveries in his last over but by that time more than enough damage had been done. Eoin Morgan scored at will. Australia had its chances early on. Bairstow successfully overturned an LBW decision through television referral on 27 and then, on 30, Stoinis couldn't hold onto a difficult chance while running back at mid-on. Australian opener Travis Head top-scored with 51 off 39 before offering a soft return catch to Ali and Rashid hurried the collapse with four quick wickets. 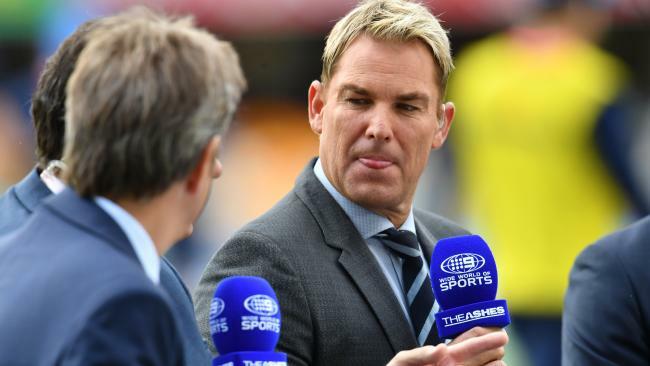 The cricket world reacted with shock to the loss, Shane Warne tweeting what Aussie cricket fans were thinking and a couple of England greats like Michael Vaughan and Matt Prior had some fun at the visitors' expense. A crestfallen Paine admitted Australia's record defeat was the toughest day of his cricketing career. "I've been playing cricket since I was a kid and that is the hardest day's cricket of my life," Paine said. "Everything we tried didn't work and everything they tried came off. "Normally that happens for an hour or two and you get a wicket. To go on for as long as we did … you have to take your hat off to them, they hit the ball as well I have seen." Paine said he had no regrets about putting England in to bat after winning the toss and denied that was a reason for the heavy defeat. "Hindsight is a wonderful thing," he said. "I don't think conditions or the wicket had anything to do with that result. 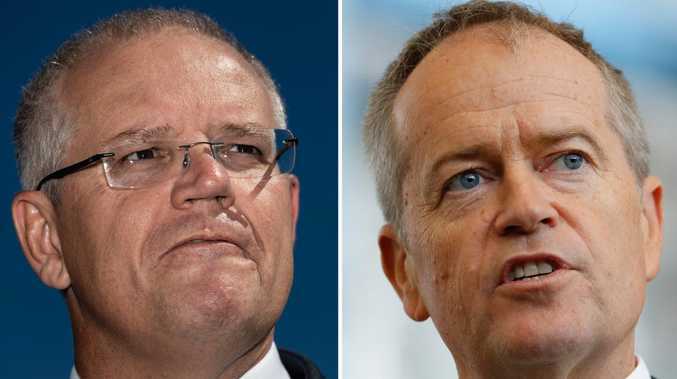 "We just ran into some guys that are red-hot at the moment and they put us to the sword a bit. "The wicket was still terrific when we batted on it as well. We just didn't execute well. "It was tough, I thought I had a few headaches after being hit on the head in the last game at around the 25 over mark but I had a few more today to be honest."